Situated about 20km from Golden Gate Nature Reserve and easy drive from Johannesburg, Bloemfontein and Durban, Clarens has a flourishing tourist trade as well as an established artist community and has become the ideal holiday and weekend getaway. 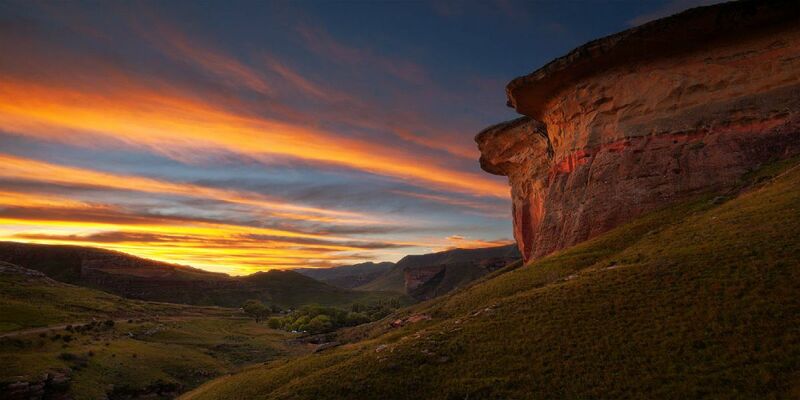 Nicknamed the “Jewel of the Eastern Cape”, Clarens is situated at the foothills of the Maluti Mountains. Known as the adventure capital with a wide variety of activities for visitors such as 4x4 tracks, horse riding, quad biking, trout fishing etc. Best time of the year to visit this beautiful town would be during autumn and spring seasons to enjoy your remarkable stay. Places of interest - Titanic Rock - overlooking the entrance to Clarens, Bushmen paintings on Schaapplaats farm and in Golden Gate Clarens has a variety of accommodation establishments to offer visitors that come to the area. Vacation Hub International recommended time to Travel: autumn and spring seasons are a good time of year to visit Clarens.